Heavy guns were used in the Mariupol and Donetsk sectors. 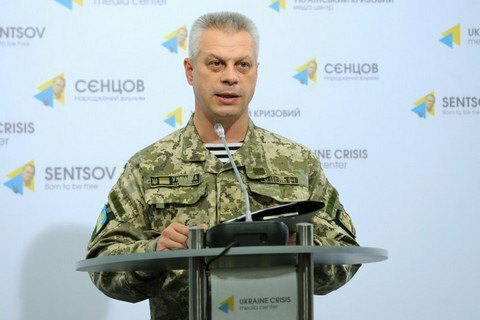 No Ukrainian servicemen were killed but 16 were wounded and injured in the antiterrorist operation (ATO) area on 24 February, the Defence Ministry's spokesperson for ATO issues, Andriy Lysenko, has said at a briefing. Earlier, the ATO HQ said that 12 troops were wounded and four injured as a result of 92 attacks by pro-Russian militants. "The Russian occupation troops persistently show the whole world that they do not care about any previously reached ceasefire agreements," the ATO HQ said. According to the morning update, 122-mm artillery was used both in the Donetsk and Mariupol sectors. On 24 February, Donetsk militants opened fire against the OSCE mission and seized its drone.